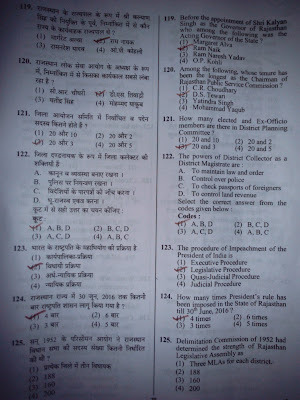 RPSC RAS Exam (Preliminary) Question Paper with Answer Key 28 August 2016 (Morning shift) and Paper Analysis. Rajasthan Public Service Commission RAS Preliminary Exam held on 28 Aug 2016. A large number of candidates have appeared in this exam so those candidates waiting for the RAS Pre Exam 2016 Answer key and Exam Analysis of RAS Pre Exam Check here. 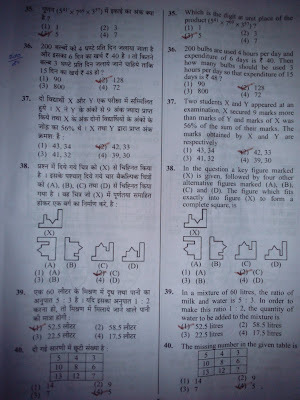 RAS Pre Exam had 150 questions in total 200 marks all questions carry equal marks. If more than one answer is marked, it would be treated as wrong answer. 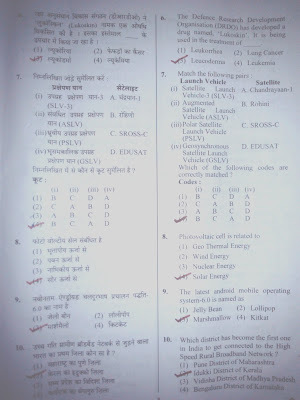 Each question has four alternative responses marked serially as 1,2,3,4 you have to darken only one circle or bubble indicating the correct answer on the using blue ball point pen.1/3 part of the marks of each question will be deducted for each wrong answer.